It’s amazing the things we remember. I was 12 years old, playing first base for the CJ Murphy team in the Bayonne Little League championship game. Tommy Wise, who was a great basketball and baseball player (later played briefly for the Montreal Expos), was on the mound for us. It was the bottom of the 1st, and after a walk and a strikeout, the next batter, a right-handed hitter, swung late on one of Tommy’s fastballs and hit a line drive down the first base line. In one of the easiest plays someone could ever be handed, I caught the ball moving toward the bag, stepped on first and completed an unassisted double play. The first thing I did? Looked into the stands to see my dad, making sure he had seen it…and it was a moment we could share. Dad used to come to my games…whatever the sport or level. We would go to games together, watch games on television together, talk on the phone about games together. I loved it…and later loved it, albeit differently, as I watched my daughters compete in their rec, high school and — for one — college sports. I never wanted to miss a game (even if I didn’t completely understand those fencing matches, or field hockey games…and softball was a bit tedious). But soccer and basketball were great to watch, and I penciled in those dates on my calendar as soon as the schedules came out. So given the opportunity to team up with Interperformances, a leader in the basketball world, it was too good to pass up. 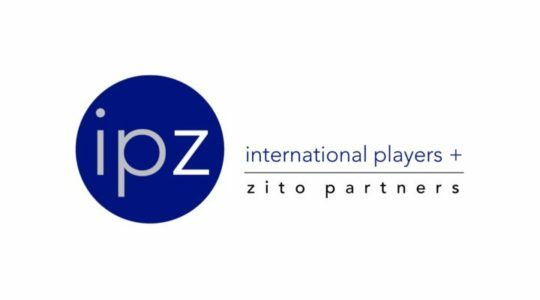 And now, as the exclusive US representative of Interperformances, we’re fortunate that so many great people are lending their talents and knowledge to the new company, InterperformancesUSA (or IPZ for short). And for some insight into the reason we did this, check out “The Barn,” a special place for our family. Interperformances has been a powerhouse in the basketball world; our goal is to build on that prowess, and build a bigger and stronger entity in the United States. We’re off to a fast start…and hope you will all wish us luck as IPZ grows, based on integrity, family, and life. That barn reminds me of family. It’s where my daughters and their friends played basketball and soccer growing up. It’s where our family and friends congregate when they visit. It’s where I work out whenever I get the chance. It also symbolizes why I agreed to start IPZ. It was family all over again. When one of my best friends in the world came to me and said, “I’ve known this firm — Interperformances — for 45 years; they share your values; and their business could use a US partner like you,” I had to listen. And after meeting Lucky, Manuel and their team in Europe, I knew we could build something here that would last, and that would expand the “family” Zito Partners has begun to build. Sports…entertainment…media…it galvanizes us, and brings us together. Whether it’s family and friends getting together to watch a game, tailgate in a parking lot, take in a movie, be fixated by a major event, or lionize a sports hero, what happens in sports, media and entertainment becomes part of our families. And — fortunately — the combined experience our team can offer those who join this family is unmatched. This is not about the “big chance.” This is not about the “next contract.” This is about building a family…a family that grows…prospers…celebrates…and supports each other together. Not for one season, but for life. One visit to that barn will explain it all. Join us, and become part of our family. No one could ever support you more. There are some things I remember from my childhood. Not a lot…but those that have stuck, stuck well. One is a memory of a funeral service for Walter Kimbrough. Walter was the lead groundskeeper for the Bayonne Housing Authority. My dad was the executive director. On Saturdays and Sundays when dad would go to the office, I’d go with him. I got to know the staff dad worked with. Mike Fedorochko was the lead guy on caring for the physical plant; Frank Senkeleski kept the fleet of trucks and cars running; Walter kept the buildings and the grounds looking as good as public housing projects could. Dad was from the generation that believed in the American Dream. Work hard, use your head and common sense, and you can get ahead. If a boiler broke at 3 a.m. and a tenant called the house (yes, he gave tenants our home number), dad was there with Mike as he fixed it. If a vehicle broke down, dad was there with Frank as he fixed it. If Walter needed help, dad was there. He and they didn’t watch the clock…didn’t just do the work they “had” to…and didn’t feel entitled to anything. They worked hard, did the best possible job they could regardless of the time involved, and took pride that their work was done well and that the result would help others. When a Mayor or Congressman disagreed with things dad wanted to do at the Housing Authority, he’d sit down with them and explain it…and they would reach an agreement without a negative news story. Democrats or Republicans (and in Hudson County, it was mostly Democrats), they found a way to work things out with no bullets being fired and no name-calling involved. My dad’s wake and funeral (back in 1991) were a sea of diversity before “diversity” became a buzz word for corporate America. Leadership sets the example in our families…in our companies…in our schools…on our streets…in our nation. Research tells advertisers if their efforts are effective. The New York Times poll tells us lots more than that. It tells us the environment we’re creating…through our leadership and commentary…is failing. There’s so much we can learn from my father’s generation. They’re called “the greatest” for good reason. Instilling their work ethic, understanding, and caring into today’s America is a challenge we need to accept. I’m always stunned by the “teambuilding” exercises corporations use to energize and motivate management. Some are outstanding…others better suited for the academic scrap pile. One of the best I’ve seen is the FDNY’s – the opportunity for a management team to spend a day learning how to manage a real crisis – a raging fire in a high rise building. It brings teams together…makes them focus on “real life” issues…and enables teams to get out from the classroom and into the real world. And if you’d like to learn more about the program (and yes, send your teams), you can view this: http://www.fdnyfoundation.org/initiatives/training-support/ and please feel free to contact me if you’d like to participate.